This review is about item#9243613. As it was cheap, we purchased. There is no thickness in proportion to the size of the box, and there is a little difficulty in strength. This review is about item#09243604. This review is about item#9243586. There is no problem. Price and lot were just right. This review is about item#9243595. I bought it with the discount benefit of the weekend and I think that it was possible to buy the unit price per sheet considerably with corrugated cardboard of this size. 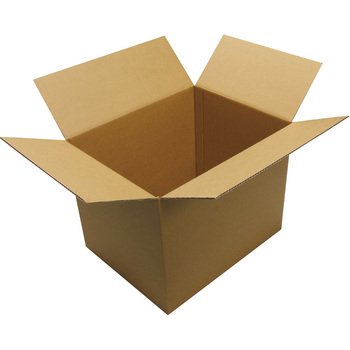 Because the thickness of the corrugated cardboard is not so thick, it may not be a bit appropriate for heavy loading, but it is relatively lightweight (up to 15 kg) and it is not optimal for putting bulky objects of large size. As we deal with metallic products, it is important to consider the heaviness as the contents may become quite heavy. Although I purchased it before, I think that it is a very good product with thickness. I do not think that it is expensive, especially high. I would be happy if you could maintain the price with this quality as it is. Furniture Because it was a cardboard of a good size, even if it entered 10 pieces, I could send it in various ways. If possible, I'd be happy to have a set of 5 or 1 seller. It is easy to store with just the right size. I want a little more strength as I put the document. It is more user-friendly than the one of the home center, and it is saved because it can choose the size. This review is about item#09243613. It seems that strength as corrugated board is insufficient. This review is about item#09243586. Since this size is not so much, I will also purchase, I want you to strengthen the strength a little more. It is regrettable that you may get crushed during delivery. Although the product was normal, delivery company's delivery will be delayed so seriously. Even if it is shipping early, it is very uncomfortable because it stops at the shipping company. Is paper quality bad, the surface paper is very weak. Since the quality of the surface layer is not written in the catalog, I do not know it when ordering. Also, the surface layer close to this size is K5's, but it seems not to be sold, so it will be appreciated if you can expand product development in the future. The strength was moderate and it was just right for the intended use. The tube file (8 cm × 3 volumes + 6 cm × 1 volume) which is currently being sold goes into a box, and it is reasonable weight to carry weight alone. The size is just right. However, the thickness of cardboard is slightly thin, so if you have a lot of time to move, it might be a bit thicker.